Great vest, Wonderful fine, soft and yet solid quality! Am thrilled. Fits perfectly and the length is very good. Material processed well ... I am happy again. Very comfortable and good quality! The vest is great and is very soft. 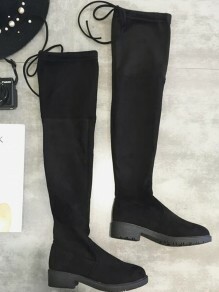 Very comfortable and good quality! Great material. The shipping was faster than expected and arrived neatly packed. To recommend. Great material. The shipping was faster than expected and arrived neatly packed. A nice part - always dressy and perfect case of the material. Really a very good quality. Very nice sweater! Really a very good quality. Workmanship is good and the clothes do not smell like chemical or anything! 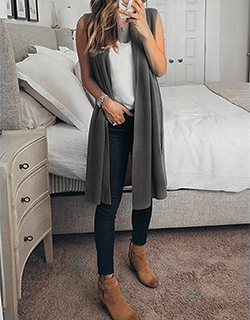 Love this long vest. Seems to be very well made, and looks great with a long top & leggings.Exactly what I was looking for.It is a good fit. I usually don’t write reviews, but for this one I have to! I wear sweaters all summer over my dresses for work and this is soft, great fit, and will definitely be purchasing more ! A lovely surprise-a beautiful sweater which keeps its shape and provides just enough warmth for my chilly air conditioned office. Great buy . This piece is awesome! Nice, soft material. I am always warm but work in an office, so wanted this to wear over tops. I have even worn with dresses! Looks very nice and professional. 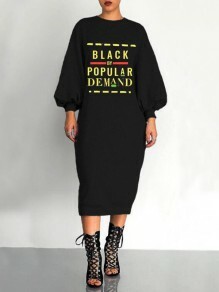 I would recommend as an addition to any wardrobe! Received this vest today. It fits perfectly, hangs on my body nicely and feels great on. I really like the gray color.